This contemporary necklace is the perfect jewelry piece to emphasize your on-trend style! 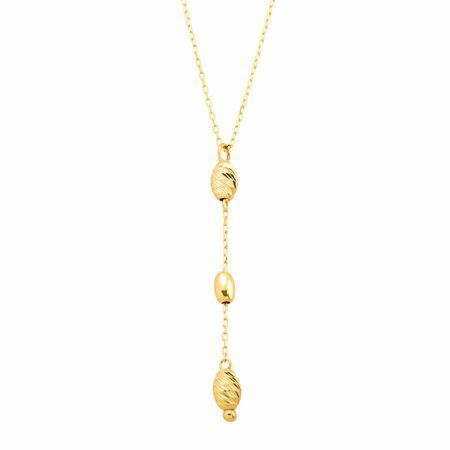 A vertical chain of textured beads suspend from a 10K gold cable chain for a delicate and minimalist look. Feature piece measures 1 3/4 by 3/16 inches with a total length of 18 inches. Made in Italy.